By Simon Cocking , interview with Sergey Romanovsky – one of the co-founders of Nebeus, a London-based cryptocurrency platform utilized for consumption and creation of financial services and products. Nebeus is launching its full-pledged ICO on November 20, 2017 with goals to raise $30 million. How are you different from other similar projects? We are not a start-up, company was in development over the last three years, and current processed volumes exceed 1m EUR per month. We believe that banking – as we know it – should become a commodity. With today’s tools and technology, everyone should be able to issue a loan or provide an insurance. So we use blockchain and smart contracts to provide transparency and security to the industry. We are inspired to create a financial ecosystem where those who add value are rewarded, and those who consume services and products do so in a competitive and secure environment, based on technology and financial regulations. Why will you do well with the ICO? 80% of ICO are going to the market without even a prototype. We have an operational business. We have over 17 thousands of happy clients already! And the number of transactions that went through our system is approaching 100,000 for this year. We are offering to buy our tokens instantly with a 50% bonus during the initial stage, before the actual ICO begins on November 20th. So far, we have sold over 475 thousand tokens. We are looking to raise $30 million during our ICO. We will be launched on at least 3 leading exchanges as soon as we complete the coin offering. We started the company back in 2013, so we are among the oldest group of companies that were first to work with this innovative market environment. We do have a proven track record. We have created a strong partner base in the banking industry and among service providers. We also have a very strong advisory board and high-profile shareholders, such as Brett King, who has been named the “King of the Disruptors” by Banking Exchange magazine, voted the “Innovator of the Year” by American Banker, and selected as “World’s Number One Financial Services Influencer” by The Financial Brand. We are the market leaders in the Bitcoin loan segment. For a proof, anyone can just type “Bitcoin Loan” in Google search to see how we work and what we offer. So that market position is our biggest achievement to date, and now we need support from potential investors to expand our services and grow our business. We have identified three segments for our customer base. Number one, of course, is the consumer segment where we work with individual clients. We also gear our services at small and medium sized companies who we see as another strong market. Finally, we want to attract application developers because we represent a strong technological product with advanced solutions. Utilising our API and SDK, we aim to develop a range of value-added solutions that are built on our platform. We are also targeting cryptocurrency holders who are looking for an opportunity to get liquidity out of their crypto holdings without losing out on the growth in value – they will be able to get an instant loan secured by their cryptocurrency as collateral thus getting access to fiat currency. In the past consumers used to re-mortgage their house in order to get cash, in crypto economy consumers can do it with Bitcoin and other currencies. Tell us about your team – advisors, partners, cofounders? Members of our team come from a wide range of FinTech segments, corporate finance with the local expertise in Europe, Asia and Middle East and crypto currency knowledge. And, of course, we have celebrities and well-known people, such as Brett King whom we mentioned before. We also have regional directors who are responsible for strategic development in certain parts of the world where we anticipate rapid growth. Well, it is the smartphone in general. It is the gateway to all gadgets, in our opinion. Smartphones have revolutionized the way people communicate. There is no question about it. 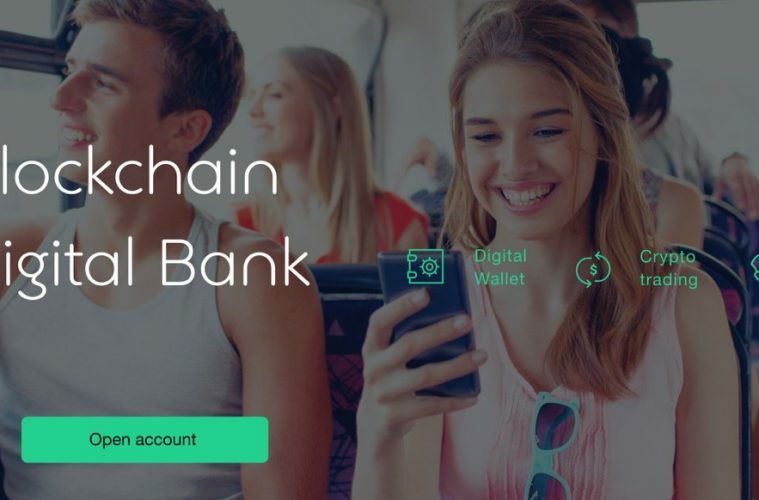 Nebeus provides instant loans in bitcoins, serves as a P2P exchange platform and features a user-friendly bitcoin wallet. The Nebeus trading system will allow users to buy and sell bitcoins with favourable exchange rates and will allow instant deposits into user accounts. The Nebeus platform was first developed in 2014 with the goal of delivering a convenient, low-cost and highly efficient service that meet the demands and challenges of the ever-evolving crypto-currency market. Nebeus’ ultimate vision is to continue building its financial eco-system, where those who add value are rewarded, and those who consume services and products can do so in a competitive and secure environment, built on blockchain technology. Nebeus is a Level 39 member and portfolio company.